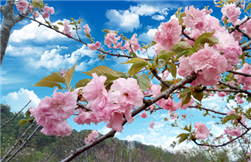 With the approach of spring, it's time to start preparing for cherry blossom season. Two Zhanjiang cultural relics have been recommended for inclusion among the 8th group of Key Cultural Relics under State Protection. Five Zhanjiang scenic spots have been listed among Guangdong's 100 most beautiful sites for sightseeing and photo shoots. Zhanjiang's Nansan Island has made it onto China's top 10 most beautiful islands list, according to the Pingtan International Forum on Island Conservation and Development. The Jinsha Bay Sea-view Corridor extending along the seaside in Xiashan district is considered one of best locations in Zhanjiang. When you consider the fact that even brown-headed gulls migrate to Zhanjiang, a coastal city in South China's Guangdong province, to spend the freezing winter months, it's not too surprising to learn that the human residents of China's northeastern regions like to do the same. The garden cosmos, or Mexican aster, is a medium-sized flower with colorful broad petals, native to Mexico. However, a field in Zhanjiang's Haibin Park is thriving with them, delighting visitors, honeybees, and butterflies alike. The Shijiaobu Sea in Gangmen town, Zhanjiang's Suixi county, is an ideal spot for photographers keen on catching a few snaps of life on the beautiful coastline.